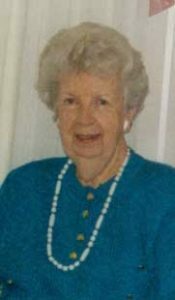 Virginia (Donaghey) Bresnahan – in Haverhill, Tuesday, September 4th, at ninety- three years of age. Beloved wife of the late Edward Bresnahan. Devoted sister of the late Phyllis and Joseph Donaghey. Loving Aunt of Bruce Donaghey, his wife Diane, of Atlanta, GA, Barry Donaghey, his wife Brenda, of Woburn and Judy Donaghey, and her late husband William of Woburn . Dear Cousin of Linda Farrell Boie of Millis. A Memorial Mass will be celebrated in St Charles Church, 280 Main Street, Woburn on Saturday, Sept 15th at 10 a.m. Interment is private. Remembrances may be made in Virginia’s honor to the Wingate Activities Center, 190 North Street, Haverhill, MA 01830.